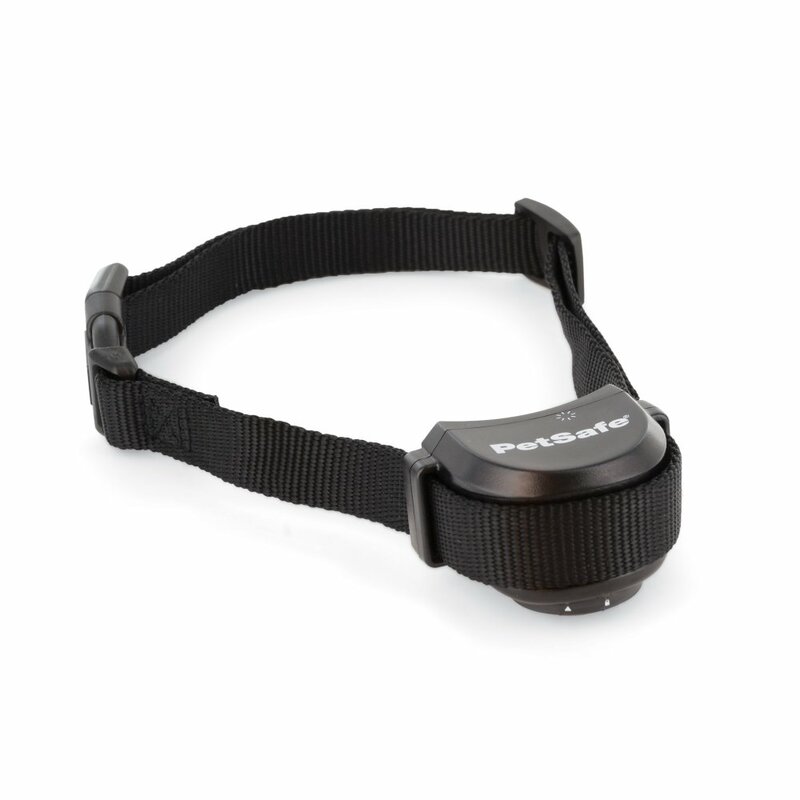 If you have more than one pet you want to contain with the Free to Roam Wireless Pet Fence, you will need an extra collar for each one of them. The Free to Roam Wireless Fence system is a fraction of the cost of a traditional physical fence and covers a circular area up to 180 feet in diameter or approximately 1/2 an acre. 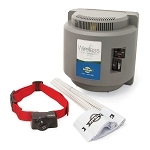 Your pet’s boundary can be adjusted from 5 to 90 feet in all directions from the indoor transmitter. There are no trenches to dig and no wires to bury. This fence system offers portable coverage. It’s great for travel, RVs, cabins and rental houses. All you need is a standard outlet. Your pet wears a receiver collar and will learn to listen for a warning tone as he nears the boundaries of the yard. If he continues, he will receive a safe but surprising static correction from the collar. 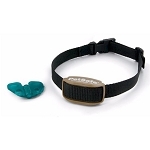 Five adjustable levels of correction plus tone only mode for training lets you find just the right level for your pet. Static correction is a harmless sensation that distracts your pet from trying to leave his boundary. The sensation is similar to walking across carpeting, then touching a door knob. This method has been proven safe, and will not harm your pet. With just a few short training sessions, you’ll create a secure boundary for your pet to enjoy freedom and fun. The fence works with multiple pets as long as they are wearing a compatible PetSafe wireless fence receiver collar. 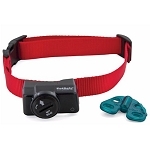 The waterproof receiver collar is ergonomically designed for comfort and sized for pets weighing 5 pounds or more. One Year Warranty. 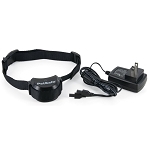 The receiver collar works with pets over 5 lbs. with neck sizes from 6 inches to 28 inches.